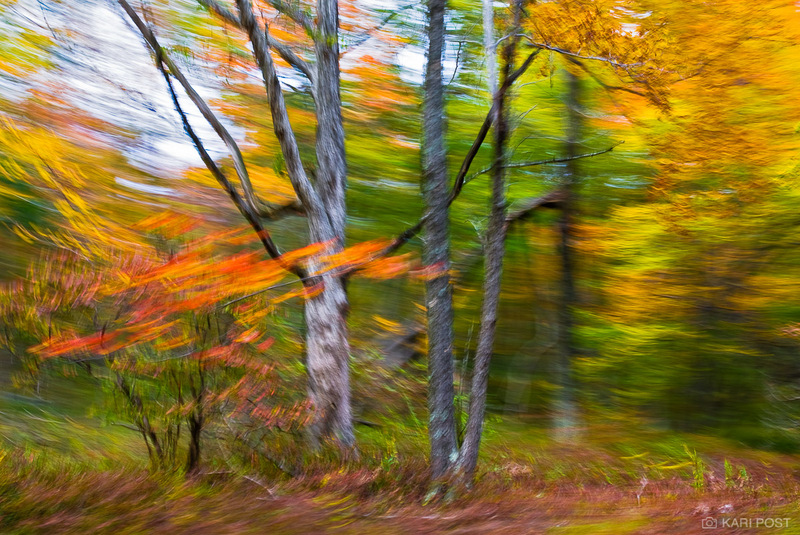 In October 2006, I took a weekend camping trip to Stokes State Forest in New Jersey in hopes of finding some beautiful fall foliage to photograph. The colors weren't consistently as spectacular as I had hoped, and my landscape photography skills were still very much developing at the time, but with some patience and a little creativity, I think I came away with some cool shots from the trip. Several of my favorites utilized a technique I like to call "drive by shooting" to create painterly abstract photos. Don't worry, it's not as dangerous as you think! All photos with a Nikon D200 and 17-35mm f/2.8 Nikkor lens or Sigma 500mm f/4.5 lens. Posted in Trip Reports and tagged autumn, fall, color, abstract, camping trip, New Jersey.